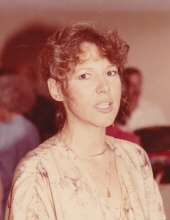 George Ann Chick, 71, was born on April 15, 1947 in Illinois and passed away on December 1, 2018 in Houston, TX. George Ann is preceded in death by her parents and her sister. She is survived by her loving husband Anthony M. Chick; children Billie Jean Barkwell and Charlotte Janice Barkwell; grandchildren Glen Austin Harper, Audrey Jean Harper and Lola Jean Ohlhaver; and brother Greg Edward Davis. There are so many adjectives that we can use to describe GeorgeAnn. But above all, I can say she was the light in our lives. She was full of wisdom, our best friend, a very special person in our life. She would sacrifice her own life and personal wants to give her children, family and friends. Ann was more than a wife and mother she was the most practical person you could ever meet. Her life experience truly made her our pillar of strength and greatest role model. She always gave us golden thoughts every day that change our lives. This is our way to say thank you for the way you brightened our lives and the memories that you left us with. Ann I will always remember your love and support thru the 43years of marriage. I will love our family the way you did-full of affection and understanding. Until we meet again, I know that on that day you will be waiting for me. Now I can say these words to you one more time I love you Always Now and Forever. To send flowers or a remembrance gift to the family of George Ann Chick, please visit our Tribute Store. "Email Address" would like to share the life celebration of George Ann Chick. Click on the "link" to go to share a favorite memory or leave a condolence message for the family.